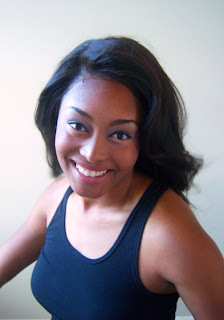 Ebonee Bright has begun working at Family Investment Center as the Finance Communications Intern. During this year's fall semester, she will be assisting the team in improving its social media outlets and client communications. Bright is currently enrolled as a junior at Missouri Western State University, expecting to graduate in May of 2012 with Bachelor of Science degrees in Business Administration and Economics. In addition to working at Family Investment Center, Bright is employed by the Royals Corporation in Kansas City, MO as a KCrew member. She has also previously worked as a model and sales associate at Hollister Company in Independence, MO, as well as a salon reservationist at Salon Ambiance in Lee's Summit, MO. In the coming weeks, look for her posts on the company's blog and Twitter and the evolving improvements to the company's website and Facebook page (Dan Danford and Family Investment Center). With college expenses skyrocketing and a decrease in resources available for financial aid, college costs are becoming more and more overwhelming for parents. College costs aren’t just tuition, books, and room & board anymore. There are hidden fees like school brand clothing, parking passes, Greek fees, formal events, health expenditures, and even parking fines. Fill out the Free Application for Federal Student Aid (FAFSA). Don’t wait until your taxes are complete to fill out the FAFSA, waiting will only result in an insufficient aid package or no financial aid at all. Even if you think your family won’t qualify to receive benefits there are other benefits from filling out the FAFSA. It is beneficial for borrowing low interest student loans and is often required for merit based grants and scholarships. Colleges also use the information to offer need-based work study programs and grants. Discuss money management with your college student. It’s no secret that college students are notoriously bad at managing personal finances. Sharing information about tuition costs, book costs, and other costs with students will help them gain an understanding about the importance of financial planning. It is important that they understand the consequences for overspending and take responsibility for their finances. Start a 529 College Savings Plan. The purpose of a 529 College Savings Plan is to fund future college costs. Having a savings plan does not exempt families from receiving financial aid. 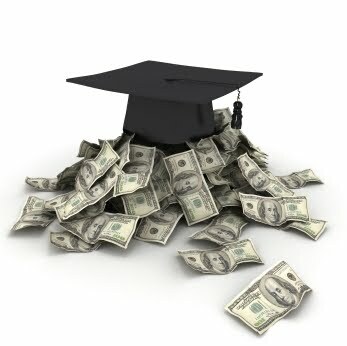 Prior to July 1, 2006 a 529 College Savings Plan was treated as a resource which reduced financial aid. Since then the 529 Savings Plan has been considered a parental asset and doesn’t influence financial aid eligibility for the student. Gain information from trusted resources. Using financial planners can be beneficial to families who want to plan for college saving. Choosing a financial planner can determine your college funding needs and tailor a plan to help you meet them. For sake of discussion, let’s say your favorite charitable organization has an endowment of $10 million. You’ve likely got a Finance Committee and a paid manager (or two) for the portfolio. In most cases, your performance is probably okay, and you don’t harbor any strong dissatisfaction with the current arrangement. Still, there is an ongoing duty to invest wisely and safely, and to exercise proper supervision over the funds. Also, the current economic climate demands maximum effectiveness for every resource used by the organization. The matter’s crux is this: every one percent of investment return brings $100,000 to your bottom line. Boost the returns and you boost the organization’s mission. More money for scholarships, or services, or other client support. I’m going to mention the most obvious solution. The investment manager(s) needs to do a better job. If they’d choose better stocks or bonds, or mutual funds of stocks and bonds, resulting performance would create the desired new funds. If they can’t do that, maybe it’s time for a change. That’s uber-obvious, and it’s where most boards go. And, for the record, it’s also where many investment professionals go, too. Banks, advisors, brokers, they all make claims and they all support those claims with believable documentation. Most will send out a team of sparkling professionals who are charming, articulate, and knowledgeable. But it’s problematic, too. They all look good. And they all sound convincing. But – this is the serious flaw that most investors won’t touch – no one (and I mean absolutely no one) knows exactly what the future will hold. All those groups with all their expertise are merely guessing about the future. From this standpoint, the notion of adding an extra one percent through better investing is highly speculative. There is another way, though, and it offers an almost-certain performance boost. If you take the existing portfolio and slash fees for trading, mutual funds, or portfolio management, those reductions flow directly to the bottom line. Want to boost portfolio returns by $50,000? Simple. Find a safe and insured custodian who won’t charge high fees to hold investments and send verified pricing and reports. Need another $25,000? Find a way to shift some portion of the portfolio to index- or institutional-share managers. Either choice can reduce overall portfolio management costs by an easy quarter- or half-percent. And there is no need to sacrifice performance. First, many existing managers will discount costs when pushed, but even if they won’t, there are hundreds of qualified companies who will. Here’s just one example: we can show you how to hire the widely acknowledged “nation’s most prominent bond investor” (New York Times, 2001) for a microscopic .46 percent per year. The best in the U.S. For your endowment portfolio. For less than one-half percent per year. No firm you interview can offer that kind of quality for close to that price. And that’s just one example of one portfolio segment. We can show you similar savings though stocks, international investments, real estate, and other diversification realms. Virtually no reduction in quality; a serious and non-speculative reduction in fees. Instant boost to your bottom line. One more thing. The returns from slashing fees are permanent. Unlike chasing investment performance, they bring increased returns to the bottom line in each and every subsequent year. Why haven’t you heard this discussion before? That’s a great question, and one I’m pleased to answer. The simplest response is that fees are easily obscured when times are good. Rising markets and general prosperity hide a lot of sloppy practices. No one worries about an extra half-percent when investment returns run ten percent a year. But the queasy combination of low returns and economic crisis has changed all that. Throw in greater industry transparency and we’re seeing a lot of things not discussed before. There’s another point worth making. The rise of independent investment advisors is creating a lot of competition and pricing innovation. Firms like Family Investment Center have been around for decades, but technology and information are transforming them into investment powerhouses. Today, registered investment advisory firms are the fastest growing segment in the investment industry. There’s no magic bullet for higher performance. And there’s no crystal ball about likely investment returns for 2011, 2012, or 2013. But there is a safe, reliable, and convenient way to boost portfolio returns and mission success. We’ve been doing it with top charitable groups in this region since 1998. This is the first of a three-part series of columns dedicated to fostering certain financial character traits. We have all seen these behaviors in others as well as ourselves. Responsibility is defined as “taking ownership of what you say and do.” Likely, we all probably need to save more than we do, and we certainly are masters at preaching to our children regarding the merits of saving for future goals and for the challenges in life. We talk about Responsible practices like: saving for a rainy day; saving for retirement; having a cushion of savings in the event of job loss or disability; saving for the college expenses of our children or our children’s children, etc. Are we practicing such financial discipline in our own lives by taking Responsibility for our personal or family savings program? Respect means “treating others with courtesy and honor.” Do we look down on others who may not have the asset total we do? Does our bankroll give us a right to be snooty, rude or elitist? Certainly not! We were born into this world naked, and we shall exit it the same way when our time comes. While we are here, we should strive to treat all persons with Respect, regardless of financial position or other material difference. Self-control refers to “having control over one’s actions, words and emotions.” I see this as a close cousin of Respect, but it could also refer to our demeanor regarding our investments. Are we riding high when the stock market does well and in the doldrums when the Dow is not as rosy? Do we trade frivolously or attempt to time the market through such futile activities as day-trading and the like? Do we chase the hot stock tip or try to find a get-rich-quick scheme? Financial self-control means having a long-range financial plan and sticking to it, regardless of the distractions and temptations that may come along. Citizenship is “being loyal to your school, community and country.” Are we good Citizens as investors? Do we always vote our stock proxies, or do we cast them into the wastebasket, leaving the task of board oversight to other shareholders? Evidence indicates most of us choose the latter. A good corporate (shareholder) Citizen takes an active interest in the investment position(s) s/he holds and is educated about what those investments are designed to do – and what they are not designed to do as well. The late George Carlin was a favorite entertainer. He was blessed with a unique life perspective, and his genius for wordplay offered an enormous creative platform. Most anyone from the 1970s can recite verbatim bits from his wildly successful comedy albums. George had some anger, too. He often poked fun at sacred cows – using biting commentary towards religion, politics, and corporate America. He was counter-culture in almost every way, and he made us laugh as he skewered many of the authorities and things that made America great. He’s renowned for, among other things, being the very first host of Saturday Night Live. This is a classic entrepreneurial parable. 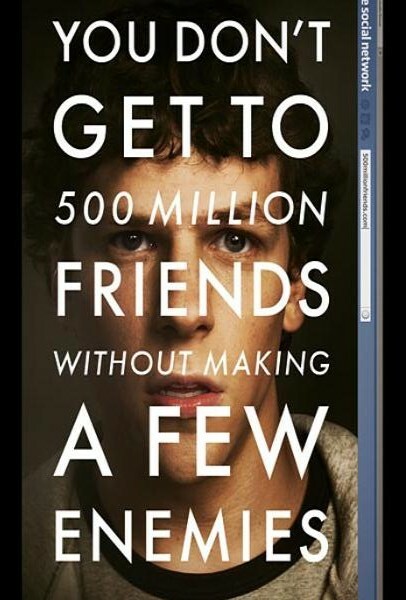 I thought about George while watching The Social Network. Mark Zuckerberg, the guy who created Facebook, shares a few quirks with Carlin. First, his personality is unique to the point of being antisocial. Second, his genius is unquestionable. Third, there’s an anger simmering right below the surface. This whole Facebook story is pretty entertaining. I love entrepreneurs, and this is a classic entrepreneurial parable. It plots an unlikely hero against a host of challenges, and – against all odds – he meets with remarkable business success. It’s the same inspiring story of Bill Gates or Oprah Winfrey or Howard Hughes, from an earlier era. 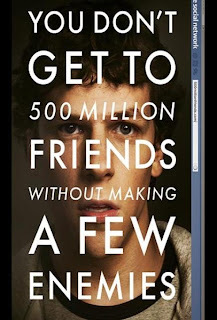 You watch this movie unfold and wonder if Zuckerberg’s hilarious awkwardness fuels his unique genius. Maybe the miracle of Facebook grew from Zuckerberg’s personal deficits. Perhaps the real purpose of Facebook was to reject authority on every conceivable level. He sure tries. I genuinely wish I knew this guy. He’s portrayed as an angry geek who torches his only friends. Along the way, he creates a $25 billion dollar company, and changes the Internet landscape forever. Possibly the world’s landscape, too, for that matter. There are now over 500 million Facebook users worldwide; more than the populations of any countries in the world except China and India. The Facebook community is now the world’s third largest nation! There’s another lesson in this story, as well. It’s a sidebar to every successful entrepreneur’s tale. It chronicles the rocky road from admiration to dismay to outright contempt. We love to publicly celebrate business success in America; it’s a lot less tolerable when it involves our personal friends and acquaintances. Zuckerberg is plagued by people who want. He is the figurative goose who laid a $25 billion dollar golden egg, and various friends and acquaintances want some. No matter the legal grounds (documented in the movie, and elsewhere), none of them makes a serious claim to his tech skills, thought processes, or vision for Facebook’s incredible success. It’s not that they didn’t contribute in some ways, just not in similar proportions. To me, that’s the tragedy. In America, guys who don’t deserve it can still collect an awfully big payday. That includes your former friends, if you are Mark Zuckerberg. Dan is a weekly contributor to Dad's Divorce, a website for men going through the divorce process. The site may be been designed for men, but the advice usually can apply to anyone. In this week's edition of Money Made Easy, host Dan Danford answers this financial question from a viewer: I am an avid world traveler and am seriously thinking of moving to another country after I retire where the U.S. dollar is much stronger. I don't want to stay here and just watch my retirement portfolio dwindle in net worth. Is this a smart move financially? Danford, MBA, CRSP of Family Investment Center, suggests what factors to evaluate in your decision making and what options you have in retirement. All of us have made decisions that have cost us financially. Real estate is one of the ones that has affected most of us in the biggest way. 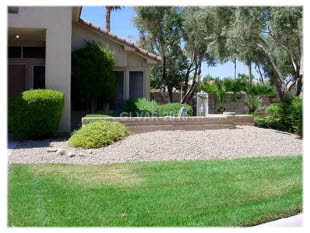 We ran across this article today that tells one couple's story about what happened when they decided to keep their home in Las Vegas after they were transferred by the military overseas. As you can imagine, there hasn't been another time to sell that house since they left Vegas - and now they're trapped. It's a good cautionary tale. Remember, when you get transferred to another city, for the military or for any other reason, being a long distance landlord is never, ever ideal. It will likely cost you much more than it will net, and unless you're wealthy, don't try it. Here's the story. Dan is a weekly contributor to Dad's Divorce, a web site for men going through the divorce process. The site may have been designed for men, but the advice usually can apply to anyone. In this week's edition of Money Made Easy, host Dan Danford answers this financial question from a viewer: With the Bush-era tax cuts possibly coming to an end, what can I do to brace and secure myself for higher taxes? Danford, MBA, CRSP of Family Investment Center, offers his financial advice on how you can prepare for increased taxation. Family Investment Center’s Dan Danford was recently interviewed by Ray Scherer, a reporter for the St. Joseph News-Press, for an article on gold. Thank you, Ray!